After 28 harvests in charge and the release, so far, of 14 white vintages and 11 rosés he has made, Dom Pérignon’s chef de cave Richard Geoffroy is handing over the keys of the cellars to 41 year-old Vincent Chaperon. While Geoffroy took over at Dom Pérignon in time to make the classic 1990, he had to wait for Philippe Coulon’s retirement in 2005, before he was also put in charge of production at Moët & Chandon. Chaperon, who himself began working at Dom Pérignon later that year (2005), will be responsible for both brands from the outset. To mark Geoffroy’s retirement and Chaperon’s accession to the ‘throne’, friends of the brand from around the world were invited to Hautvillers for a series of tastings, kicking off with the spectacular launch of the keenly awaited 2008 Dom Pérignon, which took place mid-slope in a steep, south- facing vineyard overlooking Cumières and the river Marne. 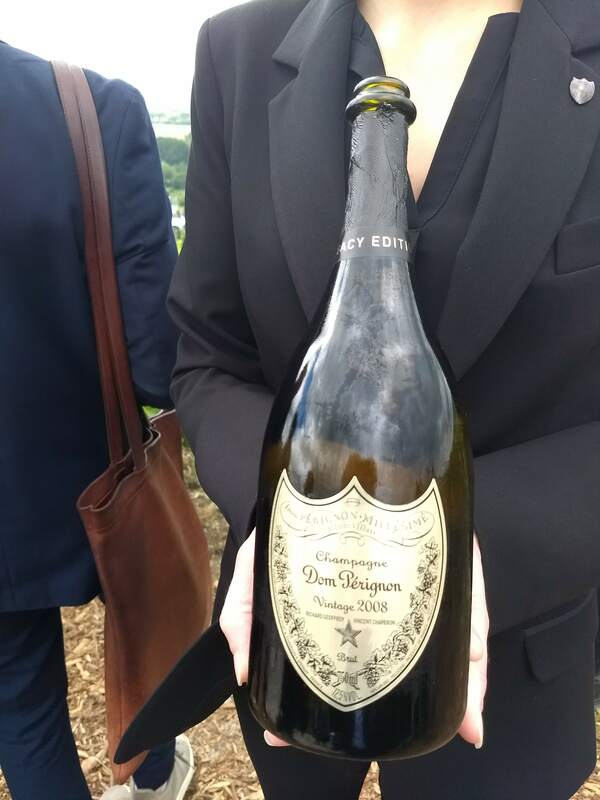 This followed a visit to the nearby historic ‘Cave Thomas’, the cellar set in the Hautvillers hillside vineyard where Dom Pérignon made his wines. 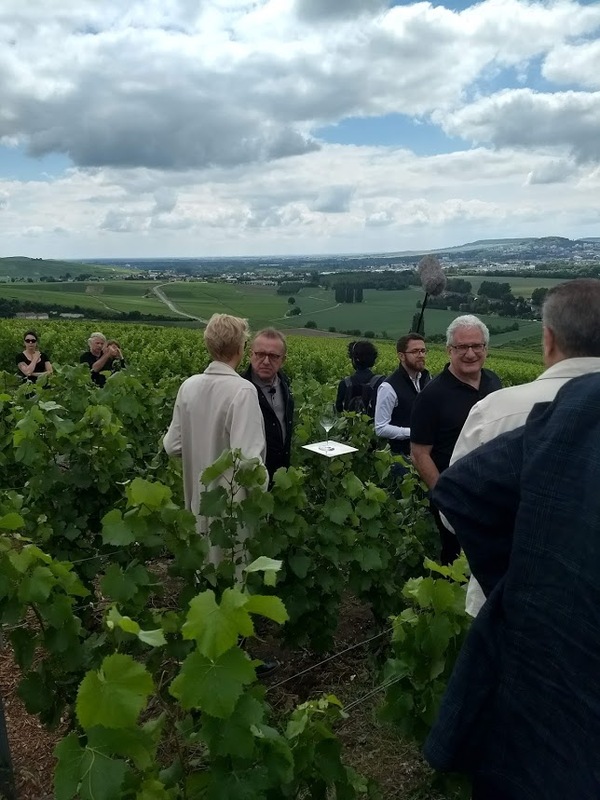 From there, we walked to the spot where 100 or so glasses were laid out on individual mirrored stands amid rows of vines and a group of sommeliers appeared to fill our glasses at each individual tasting station. As expected the 2008 vintage, a blend of roughly half and half Pinot Noir and Chardonnay as is normal, which will have over 12 months age on the cork when it officially released in a few months’ time pre-Christmas, is impressive. The notable acidity of the ’08 harvest has, as Geoffroy says, been partially tamed, but refreshing acidity, still forms the backbone of this wine, which while noticeably linear, has that extra concentration, density, mouthfeel and considerable length, that marks it out as a very special vintage. Geoffroy has been in charge at Dom Pérignon during a crucial period in the brand’s development and over a period of great change in Champagne generally. He has already been responsible for more than one third of all the white vintages of Dom Pérignon ever made, and there are at least another four white vintages that he has blended awaiting release. In terms of rosé releases, his influence is even greater and he’s already responsible for 11 of the 25 that have ever gone of sale and he’ll soon have accounted for half. But perhaps his greatest achievement for Moët Hennessy has been in successfully overseeing the Dom Pérignon oenothéque release programme, which was started experimentally in 2000 and has transformed the profitability of the brand, while putting a general and very welcome spotlight on champagne’s ability to age gracefully over many years. 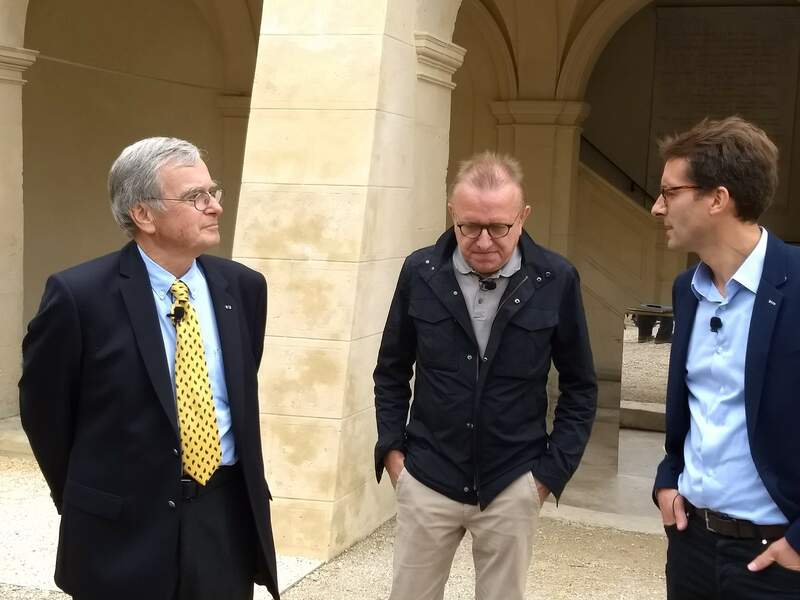 Now the incumbent Dom Pérignon winemaker, providing he or she stays in the job long enough, has the opportunity to launch the same wine three times over, during a period of two decades or more. Geoffroy is one of number of very experienced chef de caves who are planning, or close to, retirement currently and his knowledge, good humour and genuine love of Champagne will be sadly missed by those lucky enough to get to know him over the past three decades.